The Invaders of Sicily A-36 P-47 WWII DVD is devoted to the Sicilian and Italian air war featuring the A-36 (dive bomb version of the P-51 Mustang) as well as the P-47 Thunderbolt. You will marvel at the (5) films with excellent clear color footage that relate the story of the Italian air campaign in World War II. 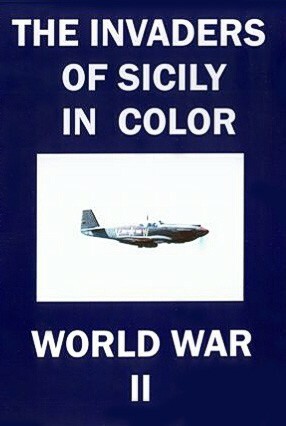 Film #1 - The Invaders of Sicily In Color - A-36 dive bombers in action during the summer of 1943 campaign in Sicily. Film #2 - Invaders Color Outtakes - Includes additional A-36 footage, scenes of war damage in Palermo, Messina, Taormina, and the US landings at Licata, Sicily. Film #3 - Air Attacks Against Italy April 1944 - A-36s concentrate on targets north of Rome-Furbara, Viterbo, Cannino, Orte, Attigliano. Run-time of 5 minutes in B&W. Film #4 - Thunderbolt - William Wylers COLOR film classic is a truly great film of the P-47 Thunderbolt in the ground support role that made it famous. Film #5 - Thunderbolt COLOR Outtakes - 35 minutes of never before seen footage from the Victory Film Productions archive. 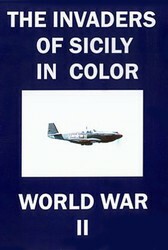 Total run time for The Invaders of Sicily WWII DVD is about 1 hour, 55 minutes. All films are in color except for one (5) minute B&W film. Format is NTSC DVD.